I guess most of us have heard or even known better this incredible and eminent person. 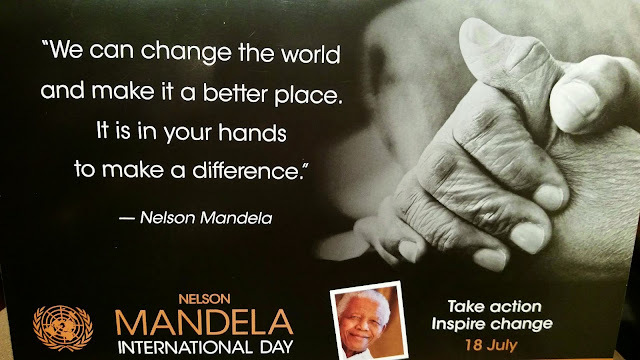 Every 18 of July, we, at the United Nations, celebrated Nelson Mandela International Day. And this year I was honored to be able to join this solemn celebration. Since 2009, through the General Assembly resolution 64/13, Nelson Mandela's incredible passion and values for humanity, justice and freedom is celebrated by real actions that truly bring impact on the ground. His struggle towards democracy and freedom for his country is indeed a true legacy that gives a new meaning to the fight against discrimination and oppression while at the same time preserving culture of peace. 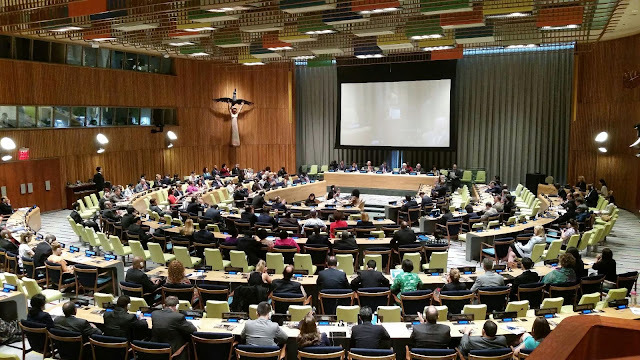 The General Assembly meeting took place in Trusteeship Chamber, gathering representatives from almost every Member States of the UN. 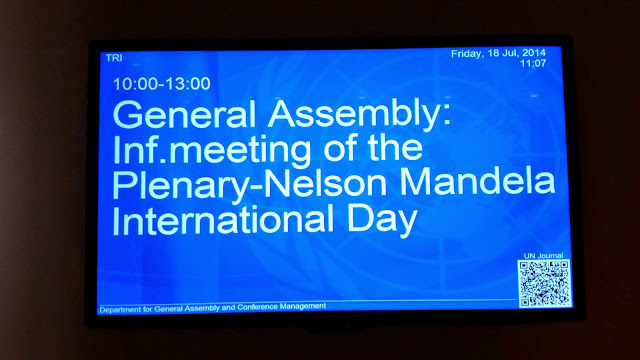 Each coordinator of Regional Groups as well as individual country made their statements, highlighting the valuable lessons and values shared from Mandela's dedicated life that has changed the course of a nation and the world. 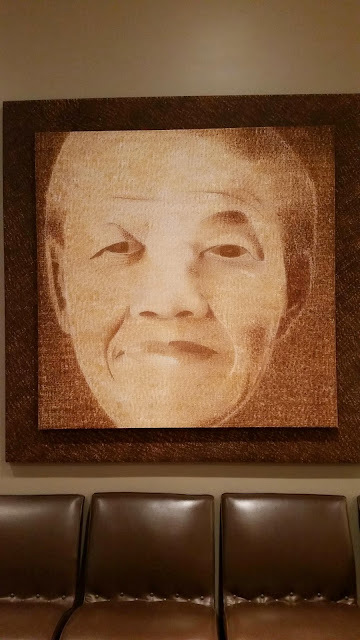 In times of recent troubles, where human lives seem to be easily and sadly wasted, where power and greed triumphed over humanity, I sincerely hope Nelson Mandela will remind us the true goodness of mankind and ...the esteemed values of love and freedom. A good head and a good heart are always a formidable combination. That's great that his life is celebrated! He was such a great person!